TRI is often contacted by individuals and organizations that would like to bring our healing modalities to the international communities -- often after natural or man-made disasters. Feel free to browse through the list of past, present, and future projects below to see how we remain committed to building resiliency in the worldwide community. Becoming a hub for CRM® within Germany and throughout Europe. In 2015, Elaine Miller-Karas, the Executive Director, of TRI, was invited to participate in the international Skoll Global Forum at Oxford, University. Elaine led a discussion with a group of Skoll participants, about mental health innovations post human-made and natural disasters. Elaine was fortunate to meet Patrick Kern during the discussion and later his mother Sybil, who represent their family foundation, the Peter Möhrle Foundation. 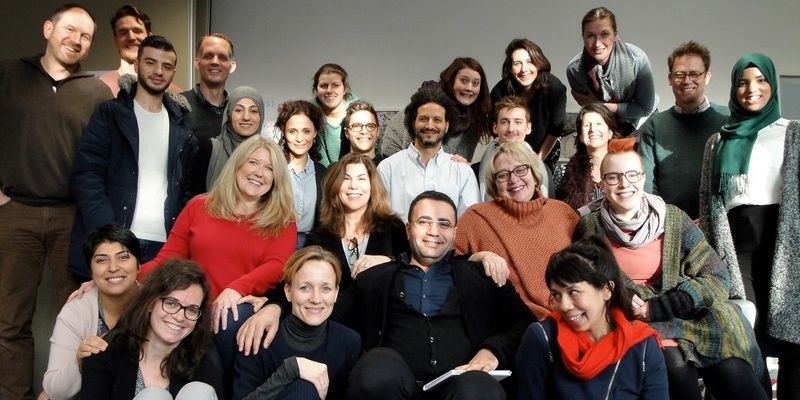 Patrick was struck with the idea that our Community Resiliency Model® scaled in Germany could help the throngs of refugees coming to Germany from Syria, Iraq and Afghanistan adjust. The Peter Möhrle Foundation contacted the University of Hamburg about their ideas of bringing our models to relevant communities within Germany. Since the preliminary discussions, a project was realized between the Peter Möhrle Foundation, the University of Hamburg and the Trauma Resource Institute. The vision is that the University of Hamburg will be the “hub” of interdisciplinary work centered around the use of CRM® within Germany and throughout Europe. The Trauma Resource Institute brought the CRM® training program to the University of Hamburg in January of 2017. The Peter Möhrle Foundation is providing the funds to launch the five-year project. The University of Hamburg will collaborate with Loma Linda University, a long time collaborator of TRI, with regard to researching the impact of the project. TRI will provide guidance and further consultation as it grows and expands. Twenty individuals were trained to become CRM® skills trainers. They were from diverse populations and were selected in part based on the languages they speak, e.g., German, Dari, Arabic and Kurdish. All the training materials were translated into these languages. The CRM® Skills Trainers will begin in April and May 2017 to conduct trainings for the refugees in the resettlement housing in Hamburg. The University of Hamburg will track the impact of the trainings with the hopes that the CRM® Skills Trainers will begin to impact the targeted communities with resiliency skills. Continuing our work in the Philippines. A TRI training team returned to Cebu City in June to provide two trainings. The first was a training for members of the National Association of Social Workers of the Philippines to become CRM® trainers. The second was for PhilACTS' Second Annual General Assembly. PhilACTS is an NGO established in 2014 by local Filipino CRM® skills trainers to promote and build capacity throughout the Philippines in the application of CRM® skills as a lifestyle. Rosario Sequintin, social worker, was elected President. 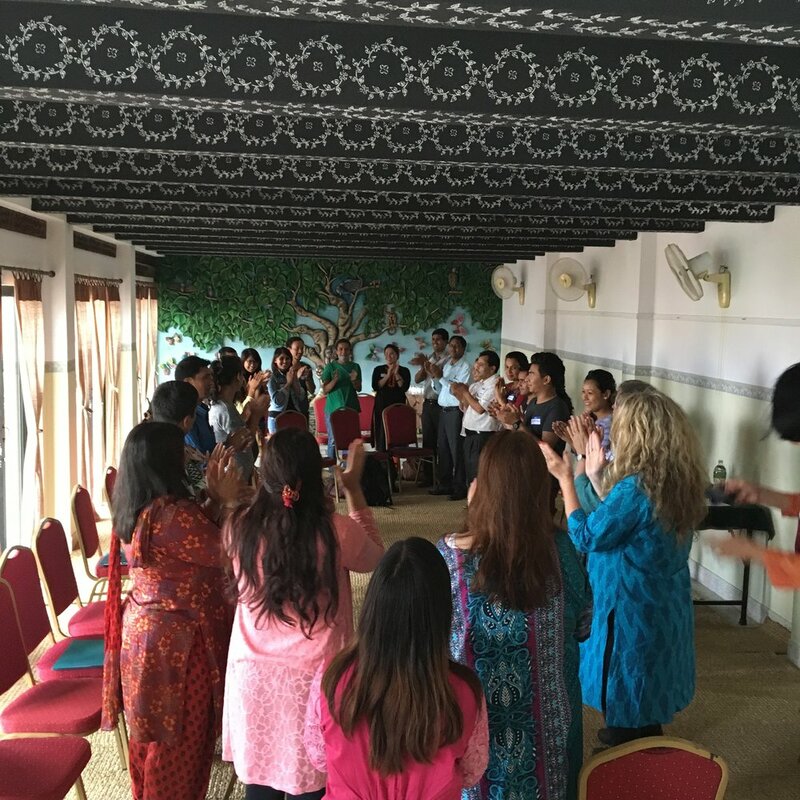 TRI returns to Nepal to help enhance CRM® skills. 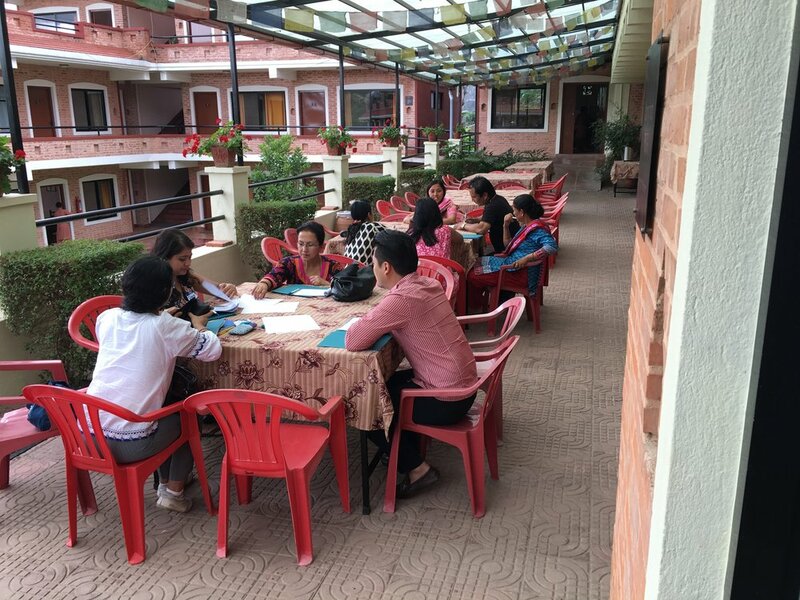 Members of TRI traveled to Kathmandu in July to provide two CRM enhancement trainings for the trainees who participated in TRI's original CRM training the previous year following the 7.8 earthquake in April of 2015. They were a part of an international team comprised of two trainers from Loma Linda University as well as two trainers from PhilACTS building more capacity for trainings throughout the world. "It was humbling to hear how some of the participants have used their skills over the past year to provide healing for themselves, their family and their community. I even heard a story from one of our Nepali trainees who taught the skills to a UN worker that had grown increasingly depressed during his time in Nepal due to his exposure to such mass destruction. She reported that he was going to be sent home early due to his difficulties, but having been taught the skills was able to not only complete his rotation but extend his time there by one week. How cool that these skills were used by a Nepali to help a UN worker that had originally come to help those in Nepal?!" Our international projects are generated from various sources, but we have found that it's important to be hosted by organizations that have networks already in place when we embark upon creating a project. For example, the Unitarian Universalist Service Committee contacted TRI after the Haitian earthquake of 2010. We completed the 8th phase of this project in 2012. They hosted three other projects in 2013 and 2014, two to the Philippines in the aftermath of Typhoon Yolanda and one to Africa, training community members from Somalia, Uganda, Darfur and Kenya to become CRM® skills trainers.